At CES 2018, we unveiled a suite of elegant new products and software with innovations designed to improve performance, functionality and the overall user experience. Yes, the XPS 13 was once again honored by the Consumer Technology Association after undergoing a complete redesign. 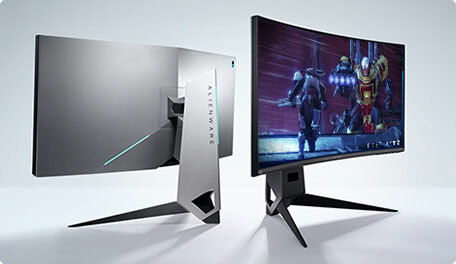 “While it might not look particularly different from previous models – the sleek design and infinity display are still present and correct – there’s plenty going on that makes this a major upgrade,” noted Trusted Reviews. The new rose gold and alpine white color options are very visible additions, and it’s thinner and lighter, with even narrower borders on the InfinityEdge 4K Ultra HD display. But inside, the Dell Power Manager delivers power just when you need it, and GORE Thermal Insulation – the same silica aerogels used in the Mars Rover to diffuse and dissipate heat – keeps the system cool. “It’s hard to maintain the balance between 2-in-1 portability and laptop functionality, but Dell has walked that tightrope,” Digital Trends noted. Dell’s XPS portfolio has won more product awards than any other brand in our company’s history. But you might be surprised by a couple of other honorees in the annual CES Innovation Awards program – like the materials that help deliver a new XPS 13 to your doorstep. First announced as a pilot program almost a year ago, and even more years in the making, Dell has created our industry’s first ocean-bound plastic packaging. This year that packaging was recognized at the Best of Innovation level, which is given to only the highest-rated product or technology in each category of the CES Innovation Awards. The ocean plastics supply chain process is made of multiple stages: Dell’s partners intercept ocean plastics at the source in waterways, shorelines and beaches before it reaches the ocean. Then the used plastics are processed and refined. The ocean plastic is then mixed with other recycled HDPE plastics from sources like bottles and food storage containers. Finally, the resulting recycled plastic flake is molded into new trays for final packaging and customer delivery. It’s just one of the ways our Dell Packaging team designs and sources all our product packaging to be more than 93 percent recyclable by weight so that it can be reused as part of the circular economy. 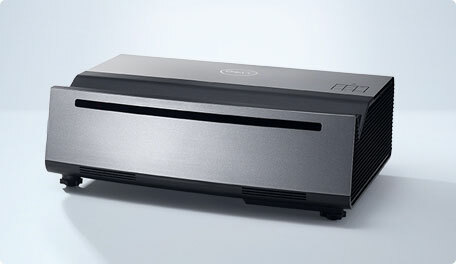 Another honoree you might not expect from Dell is our Advanced 4K Laser Projector. “If you dream of owning an 80-inch-plus 4K television but cry out at the idea of spending $10,000 and up, Dell has a new laser projector that might be the perfect solution,” said SlashGear when this product launched. And while we may not be as well-known for our projectors as we’d like, Dell is definitely known for great monitors – already they’ve made Cnet’s list of “Best Monitors for 2018” and we’re less than two weeks into the year. It also features an ultrathin three-sided bezel and unique step-venting details that help dissipate heat and maximize performance. And because we know looks are just as important as performance, it has premium, polished silver finish and Triad lighting. While each of these products received special recognition this week, they’re only some of the ways we’re reimagining possibilities from the office to the living room. Discover more innovative and award-winning products on Dell.com.